During my search for information concerning the 340 America's I got in contact with many people all over the world. Many people are/were willing to help me with documentation, photo's etc. Or just give me hints where to look further. In the future I will try to make an overview of all people who helped me during the past years. But there is one person I would like to thank first. 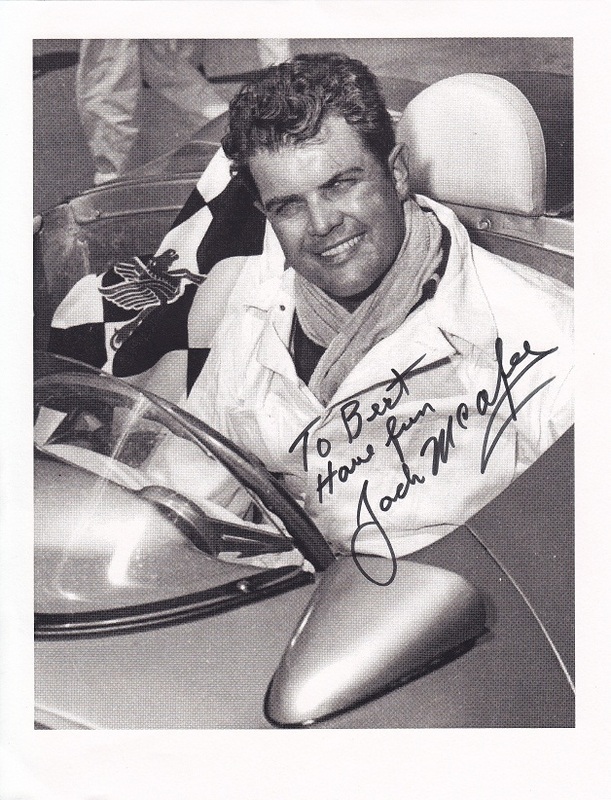 For me it was a great pleasure to have contact with Jack McAfee. He was a well-known driver in the 50's and drove some of the 340 America's during big events in the USA and the Carrera PanAmerica 1952 where he finished 5th. So getting a signed photograph when talking/writing about the subject 340 America was a very big surprise for me.